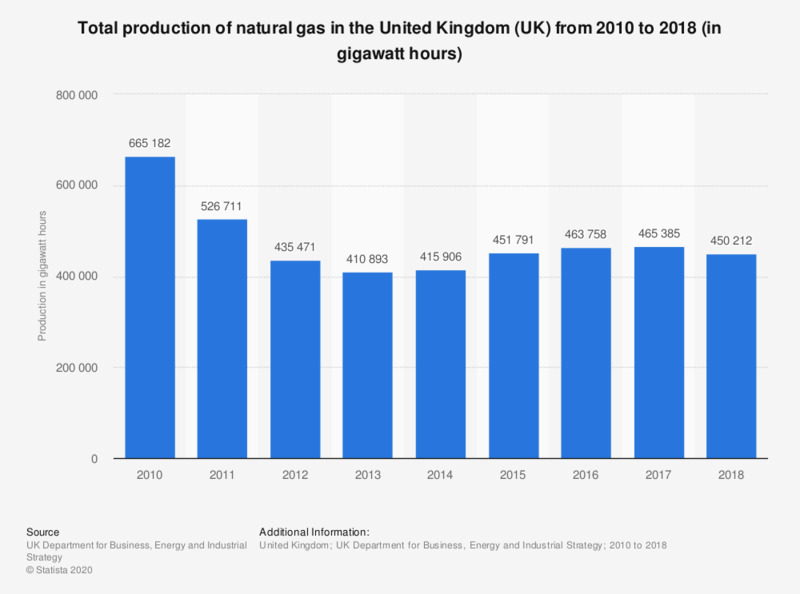 This statistic shows the total production of natural gas in the United Kingdom (UK) from 2010 to 2017, in gigawatt hours. The total production of natural gas decreased significantly over this period, going from approximately 665,182 gigawatt hours in 2010 to 410,893 gigawatt hours of natural gas produced in 2013. Since then production of natural gas has increased yearly.